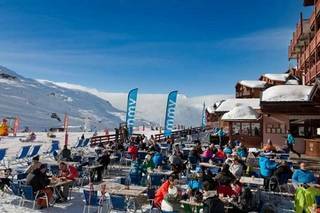 Ski hotels in Chamonix : compare ! Let yourself be tempted by a cheap ski hotel in Chamonix, which rises up to the most beautiful ski areas. Stay in this resort to fully enjoy winter sports on snowshoes, on footpaths, for ski touring or mountaineering. From your ski hotel in Chamonix discover the alpine ski area with 149 km of slopes. For a family stay, a nursery is available at the ESF for children from 3 to 12 years old. Discover the exceptional environment of the Chamonix Valley near the Massif du Mont-Blanc and the highest cable car in Europe, the Aiguille du Midi cable car that takes you in 20 minutes at 3777 meters . Ski Express offers you the possibility to compare a wide range of hotel deals from ski resorts and find a cheap hotel in Chamonix for your next family ski holiday. The prices are listed in ascending order, including the handling fees for an ever faster and more transparent comparison. Go skiing in Chamonix and book your ski hotel in Chamonix in one of the ski hotels offered by Ski Express at the best price. It's your turn !